If your company has a policy that allows you to give your employees advances on upcoming payroll, you can use QuickBooks® and QuickBooks® Payroll to record the advance, which can then be reimbursed to the company through payroll deductions. We recommend that you document any loans to employees with terms for repayment clearly spelled out and signed by both parties. Note: This QuickBooks® tip assumes that you have an active QuickBooks® payroll subscription. Next, you can either write a regular check (non-payroll) to the Employee for the Advance and post it to the Other Current Asset account Employee Advances or you can pay the Advance through Payroll in which case you will need to create a Payroll Item of the type “addition”. This is a one-time setup task. Use this addition on the Employee’s paycheck under Other Payroll Items. Enter this amount as a positive number. Then, create another Payroll Item of the type “deduction”Again, this is a one-time setup task. Note: You should only enter a default rate and limit if the rate and limit will apply to everyone using the Payroll Item. The limit may be marked as an annual limit and if so, you will need to manually adjust or remove the amount at the beginning of the calendar year or it will start recalculating. Use this deduction on the Employee’s paycheck under Other Payroll Items. Enter this amount as a negative number. Enter the amount to be paid by paycheck in the Amount column as a negative amount. Enter the balance remaining to be paid at this point into the Limit column as a negative amount. Note: QuickBooks® will automatically deduct this repayment on each paycheck and will stop the deduction once the limit has been reached. This article of QuickBooks Tips and Tricks was based on the 2012 version of QuickBooks. There may be unapplied Vendor Credits or Prepayments. Filter a transaction report with a paid status of Open transactions and date range of All to get a report showing the transactions that QuickBooks® did not reverse as part of the internal Cash Basis conversion. 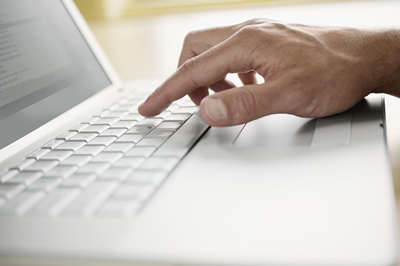 Do not use Accounts Receivable and/or Accounts Payable as the first line of a journal entry in QuickBooks®. To find out why, see our next Accounting Professionals Only newsletter. Please contact me if you have any questions or need further details regarding this information. This article was based on the 2012 version of QuickBooks®. Please note that you should rarely need to void a payroll check. Remember that voiding a payroll check is not like voiding other kinds of checks; paychecks have associated tax and other liability calculations and payments that need to be taken into consideration. You are required to amend and file corrected payroll tax returns if you void a paycheck from a previous tax period. To correctly replace a lost or destroyed paycheck and ensure that your payroll data remains accurate, you need to print a replacement check with a new check number and make a record of the lost or destroyed check. First, open the check register and find the paycheck that was lost or destroyed. In the Banking section on the Home page, click the Check Register icon. If you have more than one bank account, select the appropriate account and click the OK button. This brings up the Check Register where you can search for the lost or destroyed paycheck. You could also search for this check in the Employee Center. Once you find the original paycheck, make a note of the check number and the net pay amount. You will need these later. Double-click the entry in the register to open the Paycheck window. Select the To be printed checkbox and click the Print button at the top of the window to reprint the check using the next check number in your numbering sequence. Click Save & Close in the Paycheck window and close the check register. This is the replacement paycheck that you will give the employee. The next steps create a record of the lost or destroyed paycheck. In the Banking section on the Home page, click the Write Checks icon. 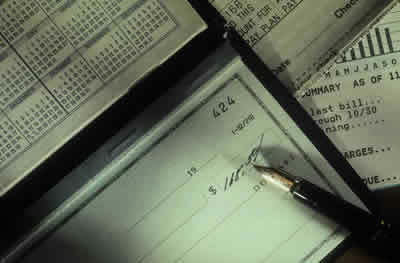 Use the same check number as the original lost or destroyed check. Make the date the same as the day the check was originally written. Make the check amount the net payment amount from the original check. Note in the memo line that this check was replaced by the check you reprinted. 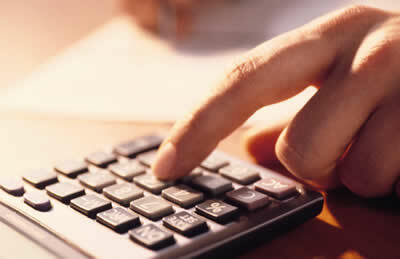 On the Expenses tab, choose Payroll Expenses in the Account column. Open the check register again. Find the check you just created, right-click it, and click Void Check. You should now see the word “VOID” in the Memo field and a check amount of “0.00.” You now have a record in your check register of the lost or destroyed check. *Please note that clients using the Assisted Payroll service and/or QuickBooks® Payroll with Direct Deposit may need to perform additional steps when reissuing paychecks to Employees. Starting with the 2012 version of QuickBooks® Accountant and QuickBooks® Enterprise Accountant, accounting professionals can now set a date range to extract transactions for a specified period of time and condense transactions outside the date range. First thing – BACKUP your data file. You are creating a new file to be issued to a third-party and you do not want to overwrite your working file. Then under the FILE menu, UTILITIES, CONDENSE DATA – Accept the prompt that it is ok to lose Budget data. Then when it prompts you how transactions should be summarized, choose “Create one summary journal entry”. If you have Customers who are also Vendors you may decide to trade or barter your products and/or services in exchange for payment. Accounting for bartering transactions is required by the IRS. Barter dollars are identical to real dollars for tax reporting purposes. The requirement to report barter payments to Vendors on Form 1099 only applies to payments made in the course of a trade of business. Nevertheless, even if no Forms 1099 are filed, bartering is generally taxable to the extent of the fair market value of the products and/or services exchanged. First, check to see if this account and payment item have already been set up in your QuickBooks® file. Go to Lists, Chart of Accounts and look for an account named Barter Bank or Barter Exchange. Go to Lists, Customer & Vendor Profile Lists, Payment Method List and look for a method called Barter/Trade. If these are already on your lists, you can skip both Step 1 and Step 2. This is also a one-time setup task. Note that you now have a negative balance in your Barter Bank account equal to the amount of the bill paid with barter dollars. Now your Barter Bank account should show a zero balance as the two transactions have washed. Properly recording barter transactions is essential to accurately representing your revenue and expenses. Treat barter income as you would any other business activity and remember to keep a paper trail.